MORGAN HILL, CALIF. — 360 Magnetics, Inc., the tech industry’s leading provider of magnet and magnet assembly solutions, announced today that it has signed a strategic partnership agreement with Belgium-based Magcam NV. 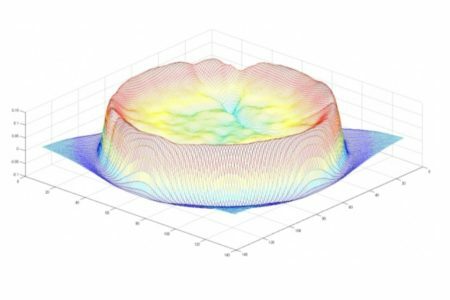 The 360-Magcam partnership will combine 360’s full-service, advanced magnetics solutions with Magcam’s market-leading real-time 3D magnetic field imaging and mapping technology advantages. About 360 Magnetics. Based in Silicon Valley, California, 360 Magnetics is a comprehensive, concept-to-production magnetic solutions provider. 360 is the only end-to-end vertically integrated magnetics design, engineering and magnet assembly supplier in the industry. 360’s vertically integrated business model enables it to collaborate, anticipate, innovate and deliver magnetics solutions and competitive advantages to customers in ways that other providers cannot. These advantages include access to advanced technologies, faster turnaround times, higher quality, fewer errors, superior ability to prevent cost-burdening mistakes as well as the best magnetizing, testing, measuring and manufacturing equipment in the world. About Magcam. Magcam is the world-leading high tech company delivering high-speed, accurate and real-time advanced 3D single snapshot magnetic field camera imagery and visualization solutions. Applications include R&D, in-line production inspection and incoming/outgoing quality control of permanent magnets and magnetic assemblies, including the full magnetization vector and its deviation angle for uniaxial magnets, multipole magnet inspection, magnet homogeneity inspection, general magnetic field mapping and magnetic materials research.